Scent up to 3,500 ft³ with a 10 foot ceiling height. 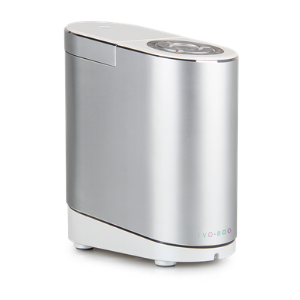 Clearly Better Scents has just the right scenting machine for your home, office, lobby or other large space. Set the mood for your family, employees, customers and guests with scents for every situation. SmartAir CB-250 is the residential grade scent machine (scent diffuser) the will scent up to 3,500 ft³ with a 10 foot ceiling height. This machine can be installed in the HVAC air supply duct. Revolutionary scents delivered with the Clearly Better Scents patented diffusers enhance the space with calming, stimulating and pleasant sensory experiences. Select from a wide selection of scents for every mood or situation. Easy to program for every day use. 110 Electric. Order the 16 oz. size scent for this scent machine. 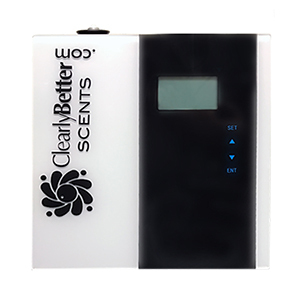 Clearly Better Scents™ are designed to arouse the desired beneficial feeling and memory you want in your space-relaxation, stimulation or comfort.